But paying a living wage to workers continues to be a huge challenge for retailers, with only five percent of companies proving they were doing so at their final stages of production. The sixth Ethical Fashion Report, released on Wednesday, graded 130 apparel companies, including 480 brands, from A+ to F on their policies, transparency, worker rights, and environmental management. The 2019 report revealed Australia's best and worst performers alongside international brands, with Etiko, Outland Denim, Kookai, Cotton On and Country Road among those handed an A- or above. Poor Australian performers included the Noni B Group, which owns brands such as Katies and Miller, swimwear company Tigerlily and discount clothing store Lowes. The 2019 Ethical Fashion Guide is here! The Guide grades over 400 brands on their efforts to reduce the risk of child labour, slavery, exploitation, and environmental degradation. Order it now: Mr Hickey said the Modern Slavery Act, introduced on January 1, would make "waves" across the Australian fashion industry, which was worth close to $23.5 billion last year. Growing affordable furniture retailer Amart Furniture has struck a 10-year lease pre-commitment with Goodman Group over a new distribution centre in the Connectwest Industrial Estate on Logistics Drive, Truganina, in Melbourne's west. Goodman will build the $65 million state-of-the-art property, which is scheduled for completion in 2020. The 48,770 sq m purpose-built facility will serve as headquarters for Amart, as well as accommodate the company’s anticipated growth. 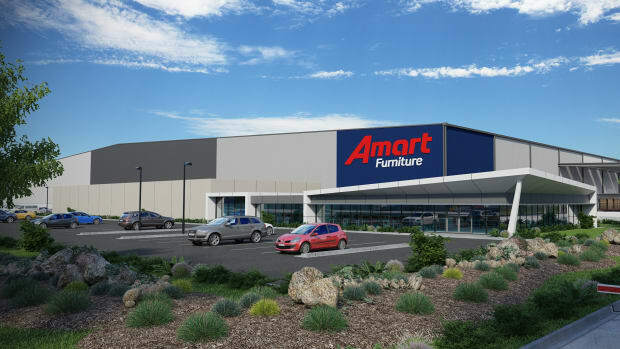 Amart Furniture chief executive Lee Chadwick says the property will replace an existing disparate cluster of warehouses in Somerton, Victoria. “The new distribution centre will provide a modern, safe and flexible workplace for our warehouse team,” Mr Chadwick said. The distribution centre will also increase delivery times and streamline the business' supply chain network by allowing and speeding up direct-to-customer or warehouse-to-home deliveries on sales either in-store or online, Amart Furniture COO Scott Pears said. The rise of e-commerce is set to make industrial property one of the better-performing property asset classes, just as appetite for retail shops and shopping centre properties takes a dive. The advent of online shopping means the demand for large distribution centres will continue to grow and landlords such as Goodman will continue to reap benefits. On the international scene, bigger investors and private equity groups like Blackstone and Prologis are buying big to capitalise on this demand, with tenants such as retail giant Amazon leading the charge in the industry. Amazon has already underscored its entry into Australia with the lease of two large distribution centres in Sydney and Melbourne, both with similar sizes to Amart's new property. When completed, Amart's Truganina distribution centre will have a significant racked storage to house an extensive range of products, a drive-around design with dual loading faces, a mix of recessed loading docks and on-grade roller doors and a cross-docking facility design with two large staging areas for inbound and outbound freight. Property and supply chain firm, TM Insight evaluated Amart's space needs and helped Amart with closing the deal with Goodman. Amart Furniture is backed by Quadrant Private Equity. The pair are in the process of a debt refinance as Amart's debts approach maturity. Australian consumers have shown unexpected resilience in the face of the falling house prices and gloomy economic headlines pouring enough money through cash registers in February to give the reserve bank breathing room ahead next month's call on interest rates. 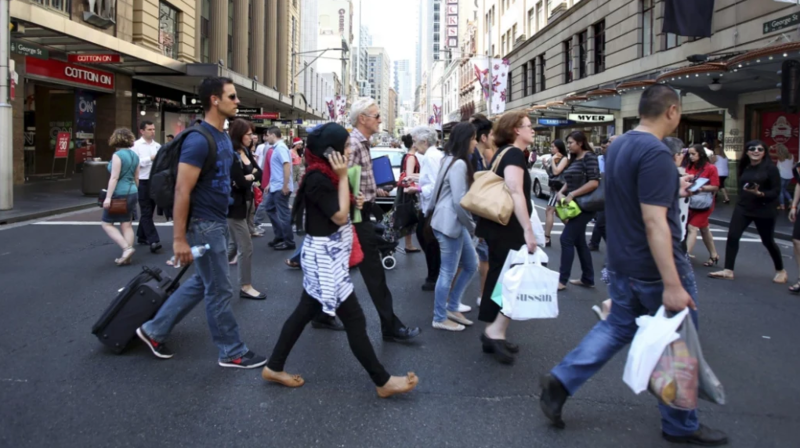 Australian Bureau of Statistics figures released on Wednesday show retail sales grew 0.8 per cent in February, in seasonally adjusted terms, ahead of economists' expectations for a 0.3 per cent increase. And the country's beleaguered retail sector is expected to receive a much-needed short in the arm later this year from measures in Tuesday's budget to put money in consumers' pockets and encourage small businesses to spend. ANZ senior economist Felicity Emmet said February's broad-based bump across sectors and states suggested the improvement was more than just a “flash in the pan”, and narrowed the likelihood the RBA would cut interest rates in May. "Their [the RBA's] concerns have really been centred on household spending and the impact from falling house prices, as well as ongoing low wage growth, so I think they will be a little bit relieved to see this pick up," she said. 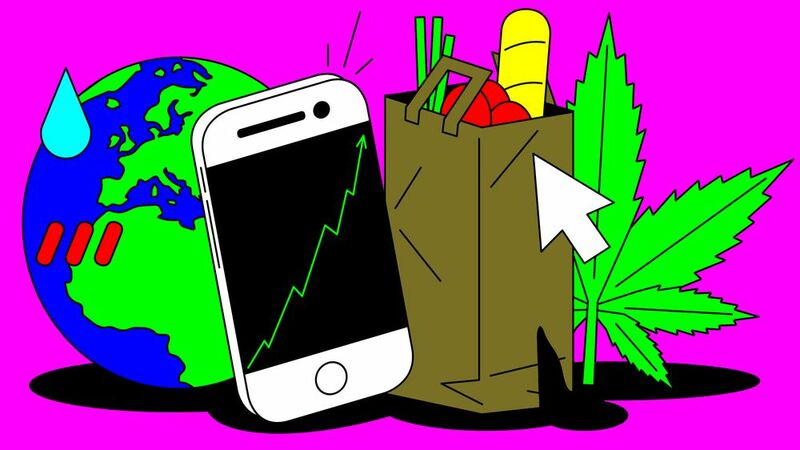 "The growth is OK - it’s not spectacular - but it does suggest consumers are still out there, they’re still spending, they haven’t disappeared altogether." BIS Oxford Economics chief Australian economist Sarah Hunter said the retail numbers were due to bounce back after weak results in December (-0.4 per cent) and January (0.1 per cent), which had been thrown out by the increasing popularity of November's "Black Friday" promotions that pulled forward sales from Christmas and Boxing Day. "If we hadn’t have had a bounce back, and we got another weak month, that would have been very worrying," she said. "If you average things out, it looks like things are trucking along as they were at the end of last year. But it doesn’t look like it’s deteriorated, which is the key takeaway." The retailers themselves are tipped to be licking their lips at the prospect that tax cuts of up to $2160 for some families unveiled in Tuesday's federal budget, and the expansion the instant asset write-off scheme for small businesses from $25,000 to $30,000, will lead to a bump in sales. 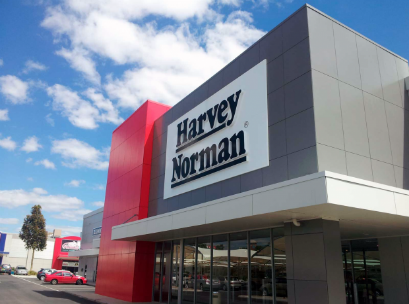 Macquarie analysts said the tax-write offs would spur investment in new IT equipment, furniture and other office equipment at the likes of Harvey Norman, JB Hi-Fi and Officeworks. Despite that, JB Hi-Fi and Harvey Norman’s shares both sank as much as 4.5 per cent on Wednesday, after each rising about 8 per cent in the month leading up to Tuesday’s budget. Citi analyst Craig Woolford said listed retailers’ shares had rallied partly in anticipation of budget tax cuts, and would struggle to move further "given the lack of significant surprises in the budget". Mr Woolford said the tax cuts could boost retail spending by 1 to 1.5 per cent in the September quarter, when payments start landing in bank accounts. But that boost had to be viewed against the backdrop of households increasing their level of savings and the government lowering its forecasts for GDP growth and consumer spending, he said. Meanwhile, car sales have slowed for the third consecutive month this year, with the peak industry body reporting a 7.1 per cent overall sales decrease in March over the same period in 2018. Sales dropped by 9.3 per cent in February and 7.4 per cent in January compared to the previous year. 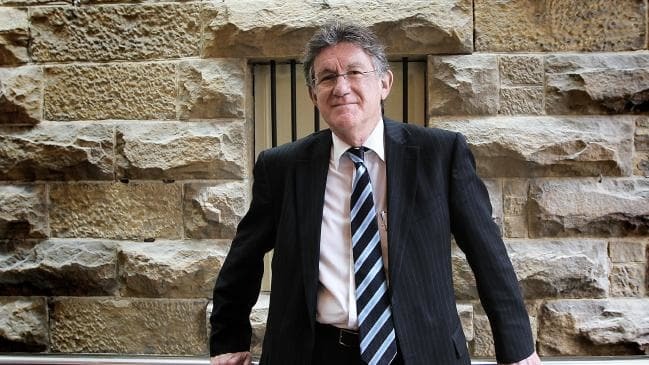 “This is not surprising given the number of economic headwinds in the Australian market," said Tony Weber, chief executive of the Federal Chamber of Automotive Industries. Solomon Lew may never recoup his full $101 million investment in Myer but other shareholders have fewer reasons to frown after a 75 per cent share price rise. Myer shares have rebounded from a 12-month low of 36¢ in February to 63¢ this month following better than expected first-half results that showed the beleaguered retailer is capable of boosting profit in the absence of sales growth – at least in the short to medium term. Chief executive John King delivered the first underlying profit growth in eight years by pulling back on discounting to raise gross margins, increasing sales of higher-margin private label brands, and exiting unprofitable products such as furniture and cutting costs and debt. Underlying net profit for the six months ended January 26 rose 3.1 per cent to a better-than-expected $41.3 million and earnings before interest and tax rose for the first time since 2011, climbing 2.8 per cent to $63.8 million. Net debt fell $57 million after Myer stopped paying dividends and, for the time being, the retailer is well within banking covenants, giving Mr King headroom to pursue his turnaround plan. Since the interim report, Myer has further cut costs, announcing another 50 job losses late last month in marketing, merchandising and store administration following the loss of 30 executive and senior management roles last August. It also announced plans last month to stop selling Apple products because it "could not reach acceptable commercial terms that were in the best interests of the company and shareholders". 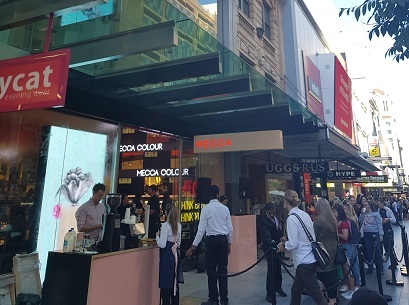 In September, Myer is expected to reveal the outcome of talks with landlords to shrink Myer's physical footprint by handing back surplus selling space – for example, closing one or two floors of a multi-level store. Myer is in negotiations with landlords to reduce floor space by about 30,000 square metres, or about 4 per cent, in the short term and by as much as 20 per cent longer term. This would reduce top-line sales, which have been in decline for 20 years, but improve sales per square metre and productivity. "Reducing space continues to be a massive priority for us," Mr King said. "Supported by a full offer online, that gives us the opportunity to significantly improve the profitability of our space." Analysts and investors say Myer cannot rely on cost cutting to drive earnings growth in the long term. One of Mr King's strategies to boost sales is to bring in about 20 new brands, including a suite of labels from the UK and Denmark, to plug holes in the range left by the exit of Country Road, Mimco, Politix, Saba and Nike. 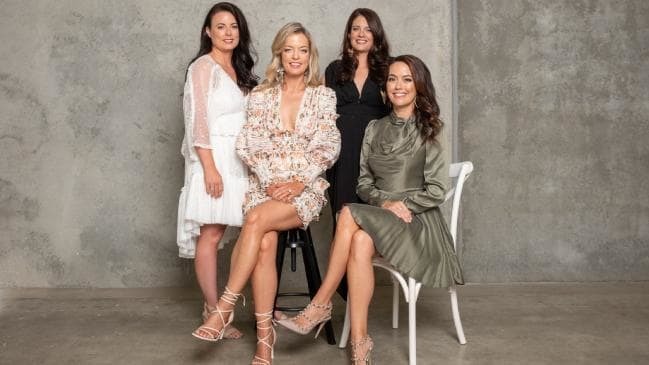 Country Road, Mimco and Politix are owned by David Jones' parent, Woolworths Holdings, and have pulled out of Myer in favour of an exclusive relationship with David Jones. Mr King, a former chief executive of UK department store House of Fraser, is confident the new brands, including British labels Oasis, Warehouse and Whistles, will be popular with Myer customers. "Oasis and Warehouse I know of old because they were sister companies to to the House of Fraser, we had the same shareholders," he told The Australian Financial Review. "They're one small cog in a big wheel – there's also Danish brands [Jack and Jones, Vero Moda] from the Bestseller group," he said. Myer decided to introduce these brands after holding customer feedback sessions around the country and tracking online orders for these brands from Australia. "They're selling here through their home websites," Mr King said. "We know which postcodes they sell into in Australia so we've matched our store distribution with those postcodes." However, some investors have questioned whether demand for these brands will be sufficiently strong to counter the loss of sales from Country Road, Mimco and Politix and say Myer faces the added complication of reverse seasonality. "They're bringing in brands from overseas that nobody has ever heard of," one critic said. "There's no way you can recover the loss of Country Road, Politix and Mimco in sales and margin – they're too iconic." Sources say Myer also needs to invest heavily to improve its capabilities in private label clothes, accessories and homewares, which Mr King wants to lift to 20 per cent of total sales from about 17 per cent in 2018. Mr King agrees. "We'll have better products and we'll execute better with regards to our private labels," he said. "We know which ones work, we know there's an opportunity to extend ranging into other categories, particularly accessories and footwear, with the right partners. "We have put in menswear designers and use freelance and permanent people to help us design better quality product and we're sourcing direct from factories so we can deliver improved margins," he said. While the new brands, the private label strategy and handing back of floor space have yet to be proven, investors are increasingly confident Myer will survive. Veteran fund manager Geoff Wilson, for example, increased his stake to 6.6 per cent from 5.5 per cent last month after buying into Myer in June 2018 following Mr King's appointment. "We started buying Myer at 40¢ in June last year and the catalyst for us was the new management team team led by John King," Mr Wilson said on Thursday. "In an incredibly difficult retail environment we're starting to see the fruits of his labour or the benefits of his management style. 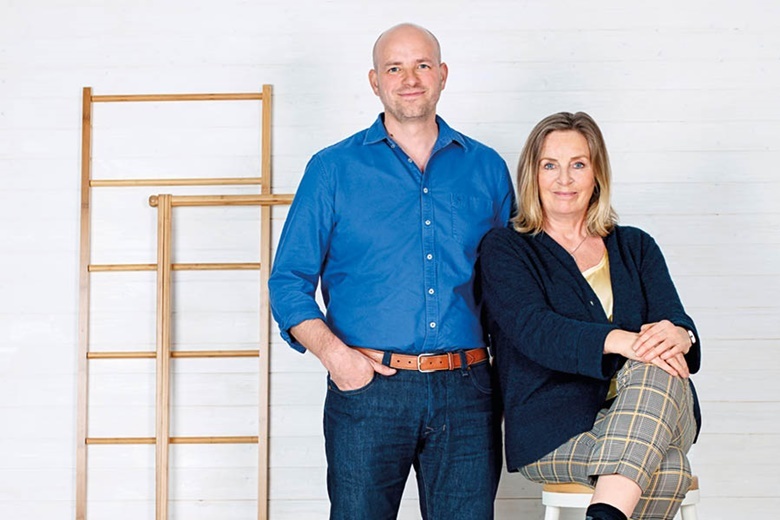 "We're of the view that he'll continue to be able to improve the business by taking costs out and improving margins, even though it still is a difficult environment. "We're backing the management team and they're starting to deliver. Our view is they'll continue to deliver over the next one to two years and the share price will be a lot higher," Mr Wilson said. If Myer shares continue to rise Mr Lew, who bought his stake through Premier Investments at $1.15 a share two years ago, might decide to sell out and put the funds to better use elsewhere. Premier's 10.8 per cent stake is now worth $55.6 million, up from $31.8 million in February, but less than the $101 million it paid. Australian dress rental platform The Volte has raised $700,000 as the start-up that touts itself as the “Airbnb of fashion” looks to make the most of our sudden obsession with decluttering our lives. Founded in 2017 by friends Kym Atkins, Bernadette Olivier, Genevieve Hohnen and Jade Hirniak, The Volte is a marketplace for women to loan out their unworn and barely worn clothes. The start-up’s focus is on designer dresses. Ms Atkins said Volte had been buoyed by the “Marie Kondo effect”, the latest lifestyle craze sparked by the decluttering mantra of “tidying” coach Marie Kondo. Kondo’s Netflix show, Tidying Up, proselytises the joy of clearing out excess stuff from our homes and lives. Transactions on The Volte platform has shot up 30 per cent and traffic ratcheting up 50 per cent since the show debuted this year. “There was a real spike because of the show, almost a fashion detox,” Ms Atkins said. Valued at $10 million, The Volte has more than 100,000 active users a month, with more than 14,000 listings. The average retail price of dresses on The Volte is $1000 and, while most users bring their own wardrobe, the platform also allows small rental boutiques to hire out their wares. “We have 200 corporate lenders and most of our members put on a 25 per cent rental price that range between $20 and $2000 per hire,” Ms Atkins said. Like most sharing-economy businesses, The Volte relies on a rating system to keep lenders and borrowers in line. “We have an extensive verification system, lenders and borrowers are rated on quality and delivery,” Ms Atkins said. With the value of Australia’s sharing economy expected to hit $55 billion by 2022 and more than two-thirds of Australians using a sharing-economy service, Ms Atkins said that the new funding had come at an opportune time for The Volte. “The funding, raised from a consortium of angel investors, will be used for technical upgrades to the platform and improve the buying and selling experience, as well as expand our teams in Sydney and Perth,” she said. 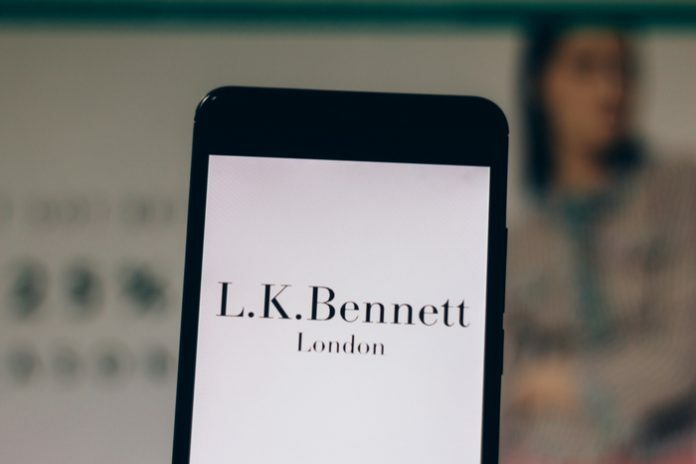 “We recognised early on the potential the sharing economy held for the fashion industry, and our rapid growth — 400 per cent growth in revenue in 2018 — and proven business model show that demand is only increasing. 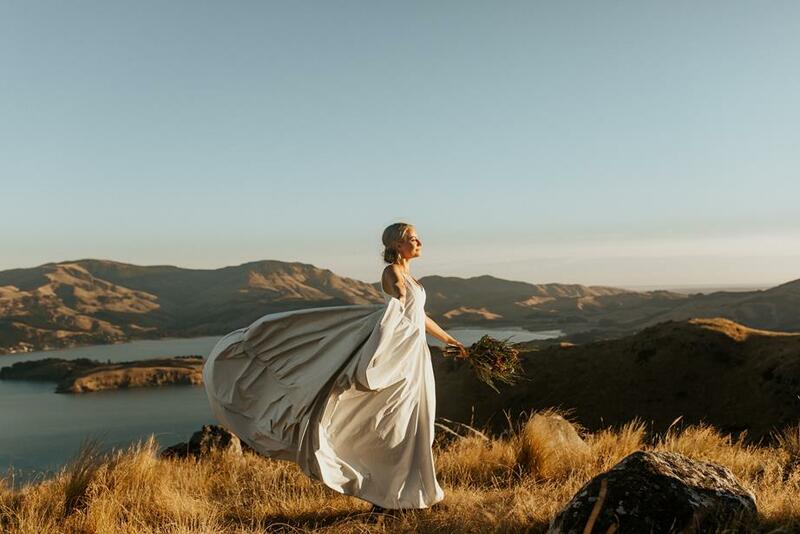 The Kathmandu All-Weather-Wedding-Dress is a collaboration between Kiwi fashion designer Tanya Calrson, Kathmandu, and GORE-TEX fabric, which is used extensively in the Kathmandu clothing range. • Internal zips that transform the length of the dress, taking the bride from altar to first waltz with ease and style. Australian supermarket giant Woolworths appears to be poised to revisit a sale of Big W.
Its investment banking adviser has been testing buyer appetite for the discount department store in the past 10 days. Private equity funds were circling Big W about three years ago, including Kohlberg Kravis Roberts, TPG Capital and Blackstone as expectations grew at that time Woolworths would divest the business, and suggestions at the time were that Woolworths was offered more than $1bn. However, Big W has amassed about $350 million of pre-tax losses over three years and has $2.7bn of lease commitments lasting nine years on average. It is a business that has faced strong competition from global fashion brands that have entered the Australian market and online retail websites. At that time, former Oroton boss Sally Macdonald was brought in to help turn around the operation. But she left in late 2016 due to what may have been a differing view with Woolworths executives as to how she should take the business forward. Yet the feared impact on discount department stores from Amazon has failed to eventuate, which may mean the time could now once again be right to place the operation on the market. 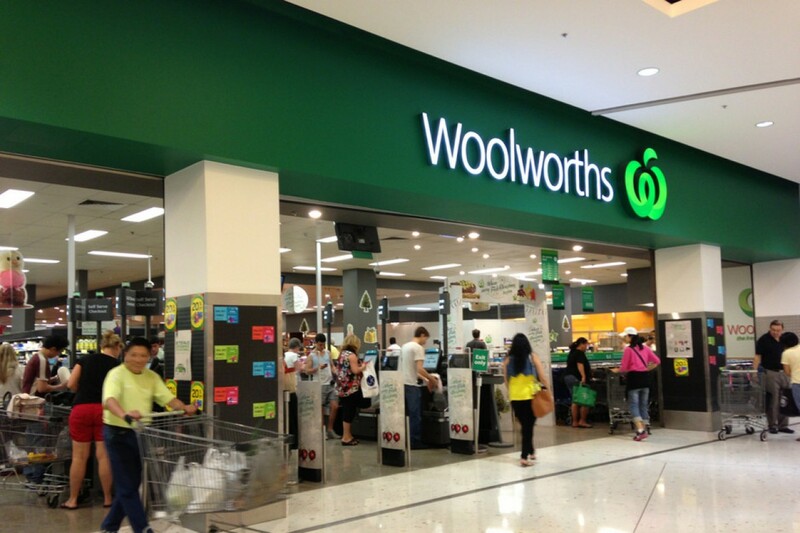 Yesterday’s news that Woolworths was closing 30 stores to boost profitability perhaps acts a precursor to a sale. The thinking now is that opportunistic buyout funds like Platinum Equity and Oaktree would be more likely buyers of Big W.
New York (CNN Business) Starbucks has opened its biggest Roastery in the world in Tokyo. Roasteries — large, lavish Starbucks stores that feature specialty coffees and teas, on-premise roasters and massive coffee casks where freshly roasted beans are held — are a way to "celebrate the romance of coffee," CEO Kevin Johnson told CNN Business. Roasteries are designed to solve a problem all retailers face: How to make the in-store experience unique and exciting enough to lure in customers. Starbucks is also using the Roasteries to test out design concepts and menu items — and to double down on its promise of offering a "third place" between home and work, even as it focuses on speed and convenience elsewhere. "The Roasteries are brand amplifiers for us," Johnson said. "That is their primary objective." In Tokyo, customers who visit the Roastery will be able to order elaborate drinks like black tea lattes garnished with turmeric cotton candy and jasmine teas topped with popsicles. They'll be able to gaze at cherry blossoms through glass walls, and sip beverages on an outdoor terrace. The four-story shop boasts a number of superlatives. It's the first Roastery to be designed from start to finish with a local designer, architect Kengo Kuma, and the first Starbucks location with a dedicated "inspiration lounge" to host events. It's home to the world's largest Teavana tea bar. And Starbucks also hopes that it will one day become the first of its stores to be certified by the Specialty Coffee Association, a non-profit membership group, to train coffee professionals. But the Tokyo location also shares many elements with its four predecessor locations, like the cask — though at over 55-feet tall, Tokyo's is biggest. It also shares distinctive design features like a split-flap sign, called a clacker board, which displays the coffee being roasted in the roasters. Like every Roastery, the Tokyo location has series of overhead pipes that shoots beans throughout the building, sells customized merchandise and incorporates Princi bakeries into the stores. It also has an Arriviamo cocktail bar like the New York and Milan Roasteries. The first Roastery opened in Seattle in December 2014. 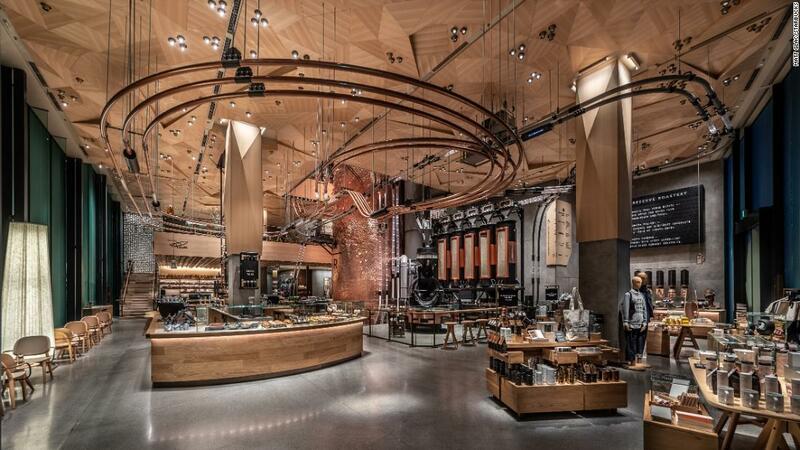 "This is a real-life Willy Wonka experience with coffee as the heart and soul," said Liz Muller, now Starbucks' chief design officer, in a statement at the time. Muller has gone on to lead design on each Roastery. Howard Schultz, then CEO of the company, said in January 2015 that the location's opening was the strongest in the company's history, "well exceeding even our most optimistic projections." From the beginning, the Roasteries were designed to have a theatrical air. Customers are invited to explore the space, try new concoctions and learn about Starbucks' coffee supply chain. The more each Roastery has to offer, the more likely it is that customers will visit, spend and stay. "Personally, I feel that the Roastery is the finest, most creative, and immersive experiential retail environment of any in the world today," Schultz said in 2015. "It should be no coincidence that the Roastery opened in the same year that we identified and shared with you the urgent need for retailers to elevate, deepen, and ultimately redefine how they were emotionally connecting with their customers." By the end of 2016, it seemed that Starbucks' big bet was paying off. The company reported in November that sales for the year were up 24% compared to 2015, mostly because Roasteries customers spent four times as much as customers at regular Starbucks locations. "In Milan, even today, we have lines around the building on the weekends," Johnson noted this month. Starbucks has always been "a more affluent brand," said Morningstar analyst R.J. Hottovy. The Roasteries take it "even more upstream," he said. Starbucks has rolled out new beverages nationwide after testing them out at Roasteries. The Juniper Latte, last year's holiday beverage, was inspired by a drink that debuted in the Seattle Roastery the previous year. The Cascara Latte, which tastes like the coffee cherry, was introduced at all stores in 2017 and also inspired by a drink first unveiled at the Seattle Roastery. The Roasteries are also where Starbucks tests out design elements it adopts not only in other Roastery locations, but at Starbucks' Reserve Bars — high-end coffee bars that aren't as elaborate as the Roasteries, but serve premium-blend coffee and are fancier than your corner Starbucks location. Starbucks has over 200 Reserve bars worldwide, most of them in Asia. "There will be a halo effect," Muller told CNN Business soon after the New York City Roastery opened in December. There will be "lots of learnings from here." The Roasteries have also served as inspiration for new Starbucks concepts, like the "coffee sanctuary" that opened in Bali in January. That store has a 1,000-square-foot coffee farm out front and a nursery where customers can plant seeds. Customers at the store, called the Starbucks Dewata Coffee Sanctuary, can take coffee tasting and preparation classes and virtually participate in the planting process through an interactive digital wall. Starbucks has always promised to be a "third place" where people can spend time. It recommitted to that vision last year, when it codified a policy allowing people to use the bathroom and hang out at Starbucks locations even if they don't order anything. "This is a slower experience," Muller said in December. "Come and stay longer, meet with your family or friends, relax." "Trying to balance those two is very difficult for the company," said Hottovy. By splitting up the business into slower, upscale locations and smaller-format stores built around convenience, Starbucks may be able to tackle the problem, he said. And it could help prevent Starbucks stores from cannibalizing each others' business. "Right now we've committed to these six," he said. "We're very pleased with how they're performing." 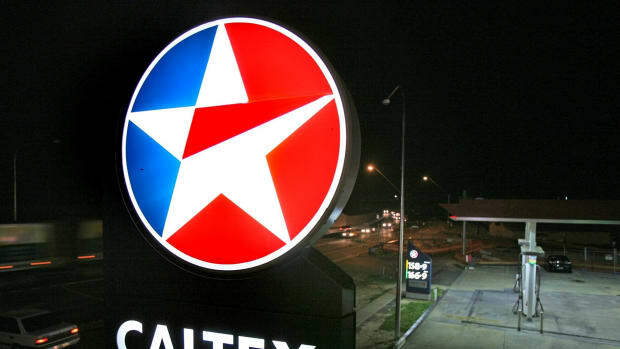 Caltex Australia is driving up its investment in technologies including petrol payment apps and automatic number plate recognition that could bill drivers without them having to leave their cars. Mr Da Ros was recruited by Caltex in 2016 to spearhead a tech overhaul and said it had made a concerted effort to challenge traditional concepts of what a petrol station can be, and was now trialling number plate recognition technology so customers can be billed automatically rather than having to stop to pay at the petrol station. "We anticipate change well. We have the humility to change, and we are early adopters of technology, I would say, in order to drive and deliver that vision," Mr Da Ros said. "We want to make it really simple for our customers to shop with us just like the way that you pay for your TV subscription or utilities bill at home ... You don't pay for it each time you use it, you use it and you get a bill at the end of the month, so why can't we do something similar?" Mr Da Ros said Caltex's app would also now let drivers pay for their petrol quickly at the bowser, rather than having to go inside the petrol station, something that would make life easier for those with children in the car. "If I go to the [petrol] station with my two girls in the back of the car, I can fill up. I don't need to unbuckle them out of their safety seats and take them into the shop to pay. I can pay on my app," he said. As part of the tech improvements, Caltex has migrated almost all of its digital infrastructure to Microsoft's Azure cloud, which Mr Da Ros said had enabled it to develop new digital services faster. "Over the last two years, we have really focused on setting up what we call a 'digital enterprise architecture' from a technology perspective, which is really the foundation enabler of all the wonderful things we want to deliver to our customers," he said. Mr Da Ros declined to say how much the project had cost Caltex, but said the tech side of the business gets a "significant piece" of the petrol company's spending. Caltex has also sought to rebrand itself as a convenience business rather than simply a petrol station in consumers' eyes. In 2016, Caltex's chief executive Julian Segal told The Australian Financial Review he wanted to introduce technology that would allow customers to use the app to organise their dry-cleaning and choose what they wanted for dinner. They could then drive to Caltex to be greeted by an attendant who would deliver their order, along with their favourite coffee. Although Caltex now has 59 so-called "Foodary" outlets across Australia where customers can order coffees through the app and buy fresh food, Mr Segal's plans have not yet come to fruition. "That is our company vision. Vision by definition is aspirational. I think we are making some very good headways in that direction," Mr Da Ros said. The biggest Officeworks store in Australia and biggest office supplies store in the world, according to the retailer, began trading on Saturday, March 23, in Mentone, Victoria. At nearly 6500sqm, the store is four times the size of the average Officeworks, and its range of 35,000 products, double that of the average store, includes a huge assortment of educational materials and art supplies – new categories the retailer entered last year – office furniture, technology products, professional printing and copying services and more. It’s a new “more is more” approach for the retailer, and if all goes well in Mentone, it will apply learnings from the store throughout its network and open additional XXL-format stores around Australia in the coming years. “It isn’t just about one shop or a handful of shops, it’s about what we can do for the 165 other stores we’ve got around Australia,” Sarah Hunter, Officeworks’ managing director, told IRW. The Mentone store is notable at a time when many other retailers are shrinking their store footprints – both in terms of number as well as overall size – to combat increasing rents and slowing foot traffic and to take advantage of the growth of online shopping. 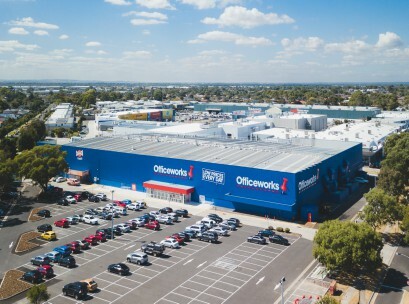 But according to Hunter, who took over from long-time CEO Mark Ward earlier this year, the decision to go big makes sense for Officeworks on multiple fronts. For one thing, the massive store enables the retailer to show customers that it sells more than just office supplies. A customer who comes into the Mentone store to pick up some paper for their at-home printer might realise they can also buy office chairs for their small business and canvases for their child who is into painting, rather than going to a specialty store. Other Officeworks stores don’t have the space to showcase the retailer’s full range. And while customers can shop the full range online, Hunter believes some online shoppers aren’t in the frame of mind to browse and discover new products on the website, and others still want to touch and feel certain products before purchasing. “It’s about helping the customer reimagine what we could be…they could have bought a lot of this product online already from us, so it will be interesting to see how physically being able to see it changes their behaviour,” she said. The store also serves as a second fulfilment centre in Victoria and enables same-day delivery to the entire Mornington Peninsula. This is increasingly important for Officeworks, as more than 20 per cent of total sales now occur online. “That’s about us meeting our customer needs effectively,” Hunter said. The idea for the XXL-format store originated about three years ago and was inspired by a trip around the world to see what overseas retailers were doing in the space, according to Officeworks’ head of merchandising, marketing and supply chain, Phil Bishop, who spoke at the opening of the Mentone store last week. 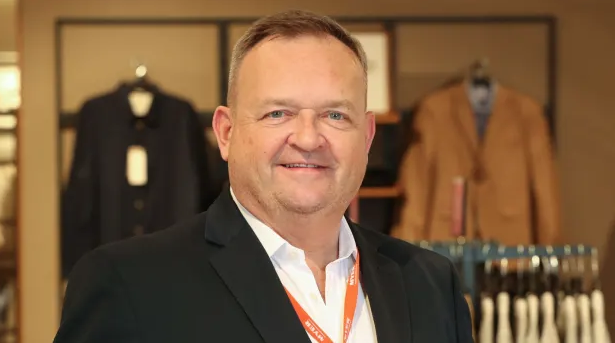 “We asked [ourselves] why can’t we be something bigger than we are?” said Bishop, who is also the retailer’s interim head of retail, B2B, e-commerce and customer experience. While this shift to become more of a “one-stop-shop” could see Officeworks competing with more retailers in more categories – such as Spotlight and Lincraft in the arts and crafts space, and Temple & Webster in commercial office furniture – Hunter isn’t worried. “We’ve always had a very fragmented competitor base, so arguably adding a few more doesn’t really make a difference,” she said. “We’re only going to go into categories where we feel our customers are asking for it. Not just things…we think are interesting. The team at Sportility are thrilled to announce that NBA Golden State Warriors newest player and NBL's Most Valuable Player, Andrew Bogut has a joined forces with us to help foster the future of sport in Australia. What an awesome segment this morning on sunrise with Kochie and Sam. Andrew Bogut nailed the explanation of what we do and how we're changing the game within grassroots sports sponsorship! Bunnings reckons every customer who walks into its stores will spend $150,000 over their lifetime. It’s a stretch but a powerful tool when teaching staff that the person buying a couple of nails is worth more than the $3 being spent that day. Each person has a much bigger value over a lifetime for the store as they mature — from a child making a cubbyhouse to a home builder working on the deck or painting the house. More than 70 per cent of the 10 million homes in Australia are more than 20 years old, so they need some work, while the 450,000 homes being built each year need outdoor furnishings and plants. Its boss, Mike Schneider, has his mind set on grabbing a bigger share of what he calls the commercial market, which includes the tradesmen who are tied to the likes of plumbing retailer Reece, but can be courted by Bunnings. The reality is that Bunnings is the nine hundred-pound gorilla in its space, which is why Schneider keeps releasing graphs showing Bunnings has only 19 per cent of the so-called home and lifestyle commercial market. The last thing he wants is for the ACCC to think he is the dominant player in the market. Depending on how big a slowdown we get, that power may well be tested, because the reality is with $13 billion in revenues, $1.6bn in earnings and 11.7 per cent margins on JPMorgan’s numbers, Schneider can withstand a little pain. Not so a struggling supplier or rival specialist, so any downturn is the ideal time for Schneider to flex his muscles. 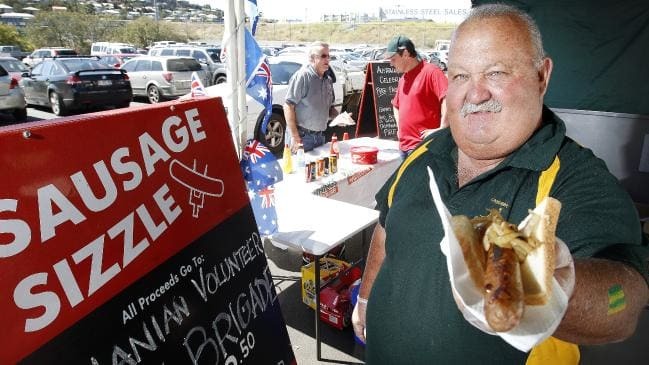 If the Bunnings person knocks on the door with a tempting offer when the specialist plumbing firm has done it tough for a couple of years, suddenly that will look very attractive. The Bunnings competition pitch, of course, is that it has but a fraction of a much bigger market. 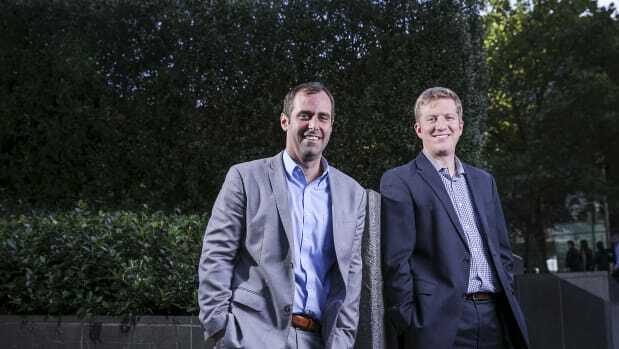 The push into the trade market is being worked through companies such as the hipages group, established 15 years ago by David Vitek and Roby Sharon-Zipser. Their website helps you find a tradesperson in your neighbourhood at the right price. If a toilet costs $300 and another $500 to install, then rather than letting the tradie mask the price, Bunnings will advertise instead a package deal — a fixed $800 so everyone knows where they stand. And Bunnings wins, too — it gets to sell more toilets. Bunnings will roll out more products online as it broadens its offering to try to maximise sales through as many channels as possible. The big prize is the trade market, which is in part help by product specialists such as Reece. Bunnings has a Power Pass card that lets tradies stock up on goods and then skip lining up at the cash register by simply swiping their card. There are still a number of product ranges that Bunnings has yet to conquer, such as flooring, in which it has less than a 5 per cent share, kitchens (less than 10 per cent), bathrooms (less than 10 per cent) and window dressings (less than 10 per cent). In round terms Bunnings retail generates $9 billion in revenues each year, while the commercial market is worth $4 billion. Schneider showcased his plans to the market this week and given he accounts for 50 per cent of Wesfarmers’ earnings and 44 per cent of revenues, Wesfarmers boss Rob Scott will be cheering him on. 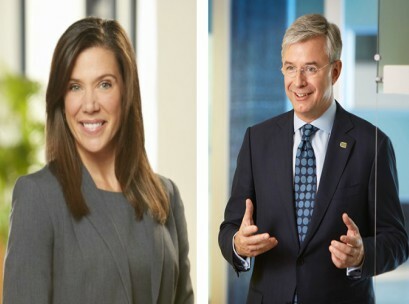 Xenith chairman Sibylle Krieger has made her decision and will proceed with an April 3 vote on the proposed $1.73-a-share scrip merger with fellow patent lawyer Qantm. This is a brave call given IPH has a $2-a-share bid on the table for Xenith, which includes $1.30 a share in cash. That deal was subject to ACCC clearance in May, by which time, if all goes to plan, shareholders will have already approved the Qantm deal and the IPH offer will be dead in the water. That, of course, depends on the vote in next month’s meeting, so the ball is now in the shareholders’ court. The Xenith board had rejected the IPH offer as inadequate. The ACCC yesterday said Xenith and Qantm can merge with a combined market share of 30 per cent to be the market leader ahead of IPH on 22 per cent. This suggests that in early May, it will also approve the IPH bid for Xenith, which would give the combined firm 37 per cent of a wide open market. IPH earns 40 per cent of its income in Asia, which explains why it has a market value of $1.3 billion against about $300 million for Xenith. IPH wants the Xenith vote delayed until May 3 to give shareholders a choice but Krieger and her comrades have rejected this suggestion. However, that is not a good decision, because shareholders should be given the opportunity to choose — but now Xenith shareholders don’t have an option to walk. That may explain why Xenith closed down 1.7 per cent at $1.80 on the ACCC clearance — which was actually good news. Westpac’s decision to hive off its financial advisory unit to Viridian has definite appeal from the bank’s perspective but is it really in the customer’s best interest? That is a somewhat surprising question as the big banks work overtime to meet remediation demands and follow Westpac’s Brian Hartzer on the road to simplicity. Historically, banks have proved very good at taking your money but not so good at giving it back but in the post-royal commission climate, customers are on a new, hopefully sustainable, pedestal. Just how to get there depends on the bank. NAB’s Phil Chronican thinks it’s all about reliability — doing what the customer expects and doing it well. Hartzer thinks it’s all about knowing your customer’s aspirations and helping them achieve those aims. Hartzer argues the bank is good at products but advice is not so suited to a big bank — in part because it is a bespoke art and given compliance rules the most one adviser can handle is 100 customers. Big banks like saleable businesses. If you are a big bank customer now you can be almost assured that dodgy financial advice will be remediated, because as tattered as big bank reputations may be, they want to show they are sticking with the customer. Viridian, the house taking on the Westpac advisory arm, will have the same commitments, or maybe better, to customers. But it doesn’t possess the same financial resources as a NAB or a Westpac and so arguably in their drive to simplicity, banks are dudding customers. Theoretically they are not because they are separating a heavily conflicted division but practically speaking it may be the customer will miss the big bank muscle.